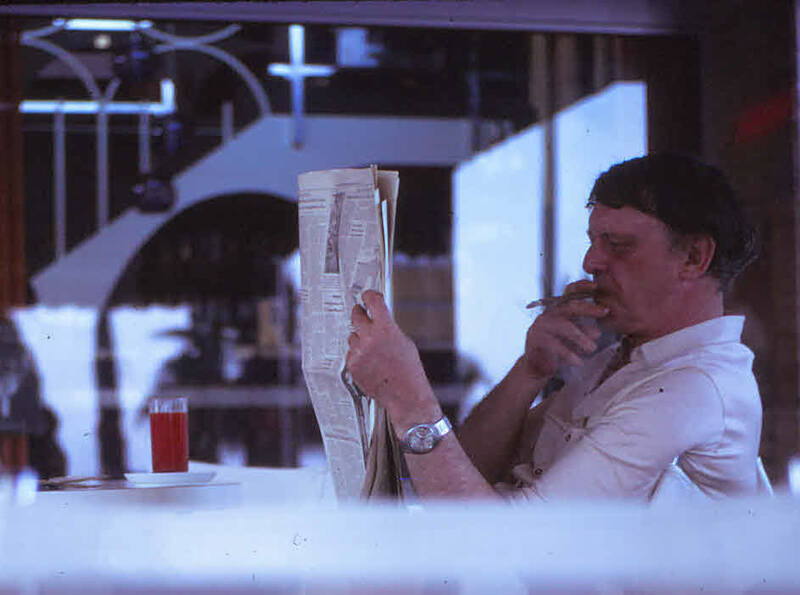 In 1968, Anthony Burgess sold his properties in Chiswick and Etchingham and moved to Malta. 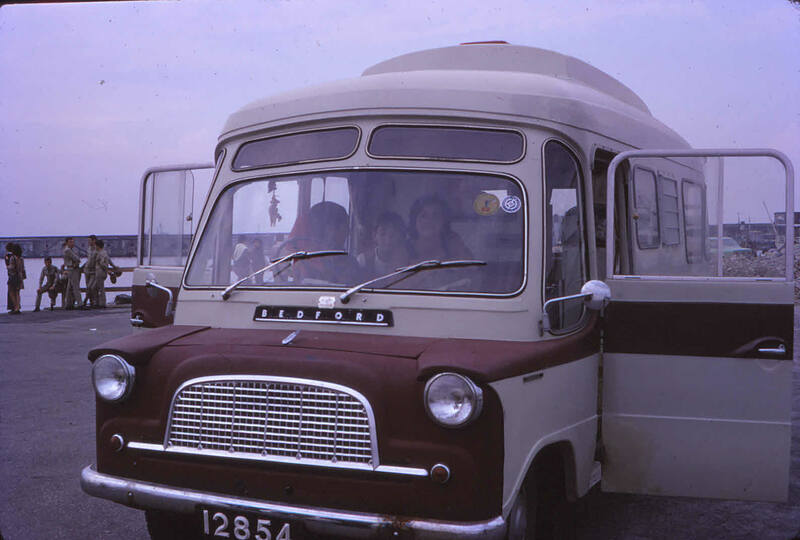 The journey to his new home was undertaken by road, in a Bedford Dormobile driven by his new wife, Liana. As they drove south across Europe, Burgess sat in the back of the motor-caravan with his typewriter. Later he wrote: ‘I look back to the autumn of 1968 as one of the healthiest, most productive, most essentially human episodes in my career. I was not wholly free, for I had the duty of hammering away at my typewriter every day, but what I wrote carried the breath of the open road.’ The journey took the Burgesses through France and Italy, and they sailed for Malta from Sicily. They eventually took up residence in Lija (a town about six miles outside the capital, Valletta) in November 1968. For the most part Burgess wrote short articles and book reviews while he was on the road. The books he wrote after he arrived in Malta can be identified from the dates on the typescripts and from Burgess’s later autobiographical writings. The range of his Maltese works is large, and most of them look beyond the island for their subject matter. The books he worked on between 1968 and 1974 are detailed below. In 1968 Burgess was commissioned by Warner Brothers in California to write the words and music for a large-budget film about the life and loves of William Shakespeare. The film script he wrote in Malta under the title Will! is a rich brew of mock-Elizabethan material, including bawdy songs (such as ‘Bringing the Maypole Home’) and bloodthirsty action. Burgess wrote his film with Robert Stephens in mind for the part of Shakespeare, and he proposed that Maggie Smith should pay Anne Hathaway. Although the film was never made, some of the material from this script was later redeployed in the novel Enderby’s Dark Lady, published in 1984. 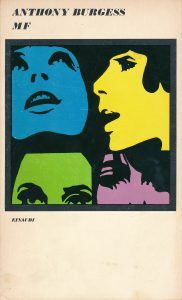 Immediately after completing the words and music for the film, Burgess set to work on a biography, published under the title Shakespeare in 1970. He said later that the biography was intended as a foil for his earlier novel Nothing Like the Sun (1964), which is subtitled ‘A Story of Shakespeare’s Love-Life’. MF, published in 1971, is Burgess’s experimental novel about a young American student who embarks on a quest to discover the works of the legendary Caribbean poet and novelist, Sig Legeru. The novel was begun in Malta and completed on the shores of Lake Bracciano in Italy. Of all his novels, MF was the one which Burgess said he was least ashamed to have written. The repressive Caribbean island of Castita, where the book is partly set, is a loose depiction of the author’s immediate surroundings in Malta. Burgess used this opportunity to comment on certain aspects of Maltese life, especially the coexistence of god-fearing people organising religious processions and louche sailors down in the harbour. In the novel, Burgess invents a new language called Castitan, but this is much closer to Sicilian than Maltese. Among its other preoccupations, MF is an updating of the Oedipus story, and Burgess also embarked on a modern English translation of Oedipus the King by Sophocles while he was living in Malta. Obscenity and the Arts (1973) was originally delivered as a lecture for the Malta Library Association in June 1970. In a brilliant polemic, Burgess criticised the Maltese government’s zealous censorship of literature. Publicaton of this lecture in pamphlet form by the MLA ultimately hastened the departure of Burgess and his family from Malta. He began work on Napoleon Symphony, his experimental novel about the career of Napoleon Bonaparte, towards the end of his time in Malta. The novel takes the four movements of Beethoven’s Eroica Symphony as its structuring principle, and in the course of four long sections, we follow Napoleon from his marriage to Josephine to his exile and death on St Helena. The novel arose from a conversation with Stanley Kubrick, who had wanted to make a movie about the life of Napoleon since the 1960s, and Kubrick shares the book’s dedication with Liana Burgess. Although Burgess wrote the first half of his Napoleon novel in the hope that Kubrick would want to adapt it as a film, it became clear while he was working on the book that Kubrick did not wish to acquire the rights. Determined to produce a literary work which would not disgrace the memory of his hero, James Joyce, Burgess ended up with an experimental text which stands as one of his finest achievements in the field of the modernist novel. 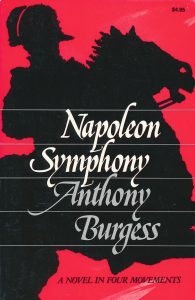 The final chapters of Napoleon Symphony were completed in Rome, during the period in which Burgess’s house was confiscated (and then ‘deconfiscated’) by the Maltese government. The final great flowering of Burgess’s Malta period is his longest novel, Earthly Powers, published in 1980. The novel investigates the problem of good and evil through the biography of a fictional pope, who is embroiled in many of the conflicts and controversies of the twentieth century. 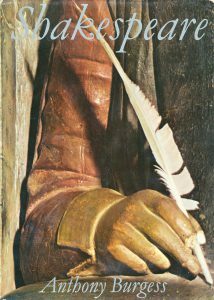 In correspondence with his literary agent, Deborah Rogers, in 1970, Burgess mentioned that he had started the book he referred to as his ‘pope novel’. Earthly Powers begins and ends in Malta, and it fictionalises several of Burgess’s experiences on the island, including the temporary sequestration of his house in 1974. The novel took Burgess a decade to write. The manuscript followed him from Malta to Rome and Bracciano, and was eventually completed in Monaco. The Burgess Foundation’s new exhibition BANNED BOOKS: ANTHONY BURGESS AND CENSORSHIP, which examines Burgess’s life in Malta, is open weekdays from 10:00am to 3:00pm until 30 September 2018.